Ann Coulter probably didn’t see this coming. 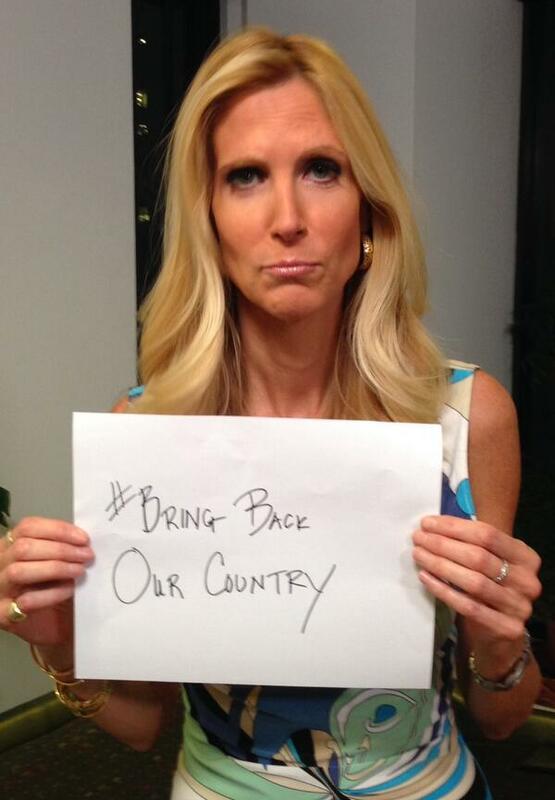 It started Sunday night, when Coulter took her circus to Twitter to mock the #BringBackOurGirls hashtag, which was created earlier this month to draw support for the missing schoolgirls in Nigeria. Nothing like distorting good-faith efforts into Twitter snark to fit some monotonous political narrative. Ann Coulter should be ashamed of herself for having no regard of over 250 girls that have been kidnapped, their religion converted against their will and many of the girls are being murdered for not converting as well as being raped up to 15 times a day. If She finds amusement in their demise then something is truly wrong with this woman. Ann Coulter, you are completely out of line. See one of the many tweets from Twitter below mocking Ann Coulter.